Ok, so there’s a reason that you never see any nail polish reviews on this blog. It’s because, quite simply, I NEVER wear the stuff. In fact, the last time I painted my nails was for my wedding. That was three years ago, and even then, it was to cover up my botched henna job. It’s not that I have a particular hatred towards nail varnish, it can look awesome. It’s just that I think nails look their best worn naturally, providing they’re strong, clean and well maintained. Plus there is nothing more unsightly than chipped nail polish. And another, more important fact is that, try as a might, I am forever cack-handed when it comes to applying polish. Going outside the nail, thicker in some areas, it is just not my forte. So when I recently attended the Pegasus PR annual beauty showcase, I gravitated towards their Emjoi stand. For those who don’t know, Emjoi are the makers of the Micro-pedi, the miracle heel treatment which I reviewed on this blog. They’re something of mani-pedi aficionados, and I was introduced to their nail treatment, the Emjoi Micro Nail Polisher. 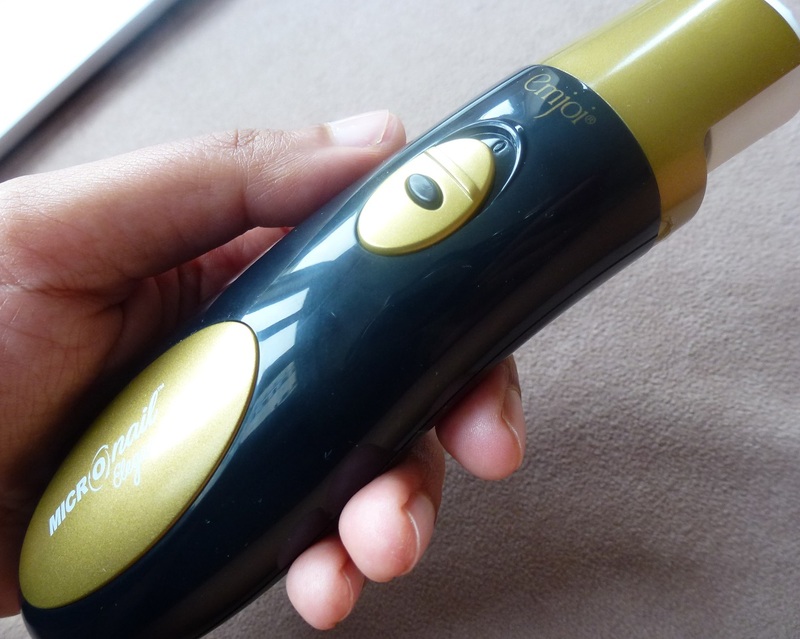 The polisher promises salon-style natural nails, and I was keen to put this to the test. Luck would have it that the Nail Polisher came in the goody back, so I got to road test it in the comfort of my own home. The battery operated nail polisher comes with two interchangeable heads. The first head is a smoother, which you are meant to buff over your nails for a maximum of two seconds per nail. The second head is a shine roller, which you then use to polish your nails, going over each one for 1-2 seconds. 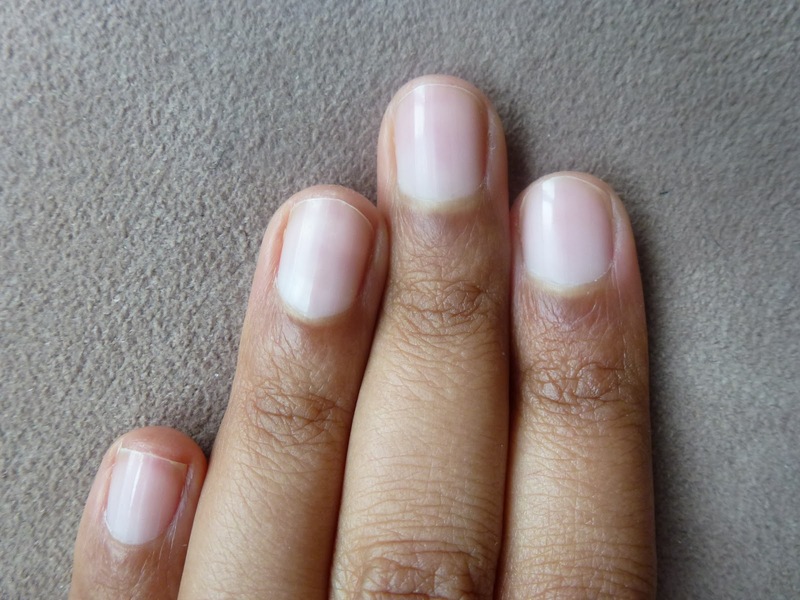 To avoid damage to your nails, it is advised that you only use the smooth head every two weeks. It doesn’t suggest how often to use the shine head, but I’d stick to every two weeks to be on the safe side. So anyway, I carefully went over each nail on my hands and feet, ensuring that I didn’t exceed the maximum two seconds time limit. 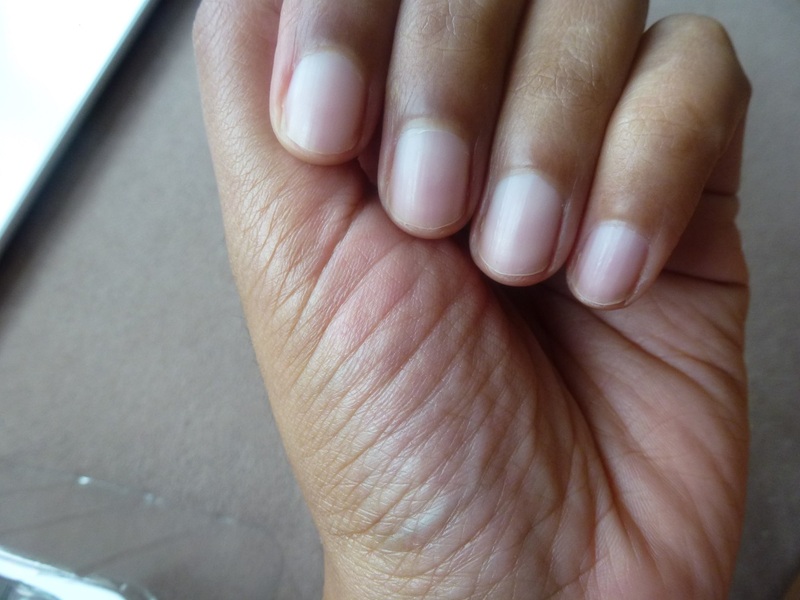 However, while the nails are a small surface area to cover, two seconds didn’t fully allow for me to go over and around the curvature of my nails and cover all areas. rather than covering the whole nail. While the picture may not necessary demonstrate this clearly, the nails were definitely shinier after using the second head. I only wish I could glide it across the whole nail within the two seconds, as this would provide an even better salon-style finish. have to give this a try next time. I’ll also post up a video demo soon, so you can see exactly how it works with a before and after comparison. What do you think of the results? Can you notice a difference? I’d love to hear your feedback.